Poland and Lithuania agreed on Tuesday to build a power link, setting the stage to proceed with delayed plans for a new Lithuanian nuclear power plant from which Poland would import electricity, Reuters reports. Officials representing the two neighbors’ state-owned power groups reached the deal after a day of talks in Warsaw to iron out details. Under the deal, the two countries will form a joint company to complete the groundwork for construction of the link, which will cost an estimated €237 million ($344.4 million) and is expected to be built by 2012. Wladyslaw Mielczarski, delegated by the European Commission to co-ordinate the negotiations, said the power bridge would increase Poland’s energy security. “It would prevent blackouts like the one which hit Italy in recent years,” Mielczarski said. 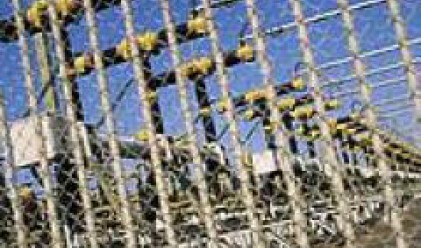 Small grid failures outside Italy’s borders -- a storm breaking a Swiss power line in 2003 and a fault in Northwest Germany in 2006 -- triggered power blackouts throughout Italy in one case and across the region including Italy in the other. The Baltic states and Poland are negotiating plans to build the nuclear plant, which will replace one that Lithuania is obliged to shut down by the end of next year. The talks have stalled due to Polish demands for a third of the power. “This is a great undertaking, which would guarantee Poland’s power supply, especially for the northeast,” Polish President Lech Kaczynski said of the planned power plant during the signing ceremony. But Kaczynski, who was joined by his Lithuanian counterpart Valdas Adamkus, added that the new plant was not of key significance to Poland’s energy security. The Lithuanian plant would replace the Ignalina facility, which has the same reactors as the one which blew up at Chernobyl in 1986 and is to close as part of Lithuania’s accession agreement with the European Union. The new nuclear facility will have a capacity of between 3,200 and 3,400 megawatts at a cost of some $9 billion. Lithuania also wants to build a power link with Sweden.